To celebrate the long weekend, XMG Studios wants to give mobile gamers a reason to pick up some new titles. Two of the studio’s releases are available in the iTunes store for the sale price of 99 cents. Drag Racer: Pro Tuner, a reinvention of the classic flash game Drag Racer, this game will appeal to those of you who enjoy burning up the race track and saving $2.00 at the same time. Drag Racer: Pro Tuner offers new features, more customization and new racing modes, as well as the ability to share your car designs with your friends on social media. 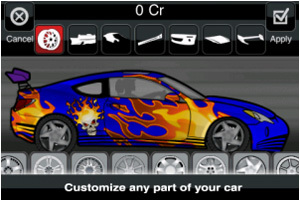 Each car can have its own unique look, with custom paint jobs and over 70 decals to choose from. If you want even more customization, you can create your own decals from photos or images on your device for a truly one of a kind car. Once you’ve created your dream car it’s time to race. Drag Racer: Pro Tuner lets you race head to head in more than 20 challenges, including a new Street Race mode which puts you bumper to bumper with some of the toughest drag racers on the street. Fans of Drag Racer: Online will be happy to hear that Nitrous Oxide, gear tuning, and other performance options have been included in Drag Racer: Pro Tuner as well as the ability to race against your friends over BlueTooth or Wi-Fi. If designing the next greatest fashion look is more your thing, Style Studio is also on sale for $2.00 off the regular price. Style Studio: Fashion Designer allows users to create a full line of men’s and women’s clothing from dresses to tops, outerwear, pants and skirts. The easy-to-use interface is simple enough for the younger user, but provides options to keep even the most experienced designer entertained. Users can choose one of the basic product designs, and alter it to fit their style. Then they can choose from thousands of materials, prints, belts, buttons, zippers, bows, pockets and accessories to further customize their design. Clothing can be tried out on any of the models included within the application, or designers can upload a photo of themselves or friends to try on the new fashions. Once clothes have been designed, they can be showcased on fashion magazine mockups or turned into an entire fashion show. Designs can be shared with friends through Facebook, Twitter and Email integration into the app. Additional styles, materials and accessories can be purchased through the in-app store with more content being added all the time. 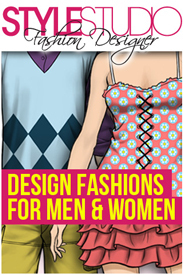 Style Studio: Fashion Designer has the most extensive customization engine for clothing design ever seen on the iPhone. It takes XMG’s powerhouse customization engine and applies it to the world of fashion, making this App for more compelling then the many dress-up-doll types of applications found in the App Store. Style Studio: Fashion Designer is available for the iPhone and iPod Touch in both a free version and the full version, as well as for the iPad. Style Studio has been featured by Apple in their Fashion Week roundups and in the App Store’s “What’s Hot” sections. 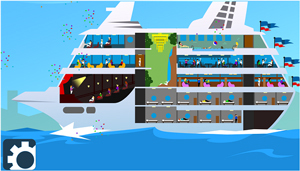 IUGO is pleased to announce the launch of its next mobile social title Sunshine Cruise Lines. 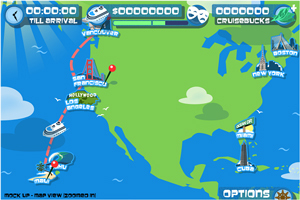 Sunshine Cruise Lines is a free-to-play title offering a fresh and innovative spin on social games. Begin your cruise today by visiting the iTunes App Store and downloading Sunshine Cruise Lines for your iPhone, iPod touch or iPad device running iOS 3.0 or later. Welcome aboard your very own cruise ship! Build, customize and manage your one-of-a-kind dream cruise. Play with friends, earn rewards and have the most fun in the sun. The first of today’s Wild Games Studio video releases features the five minute E3 trailer for Dhaila’s Adventures, which focuses on the games’ three open worlds and the dungeons. The second trailer, also from E3, introduces the studio’s new IP World Circus, an innovative and original game that allows players to build and manage their own circus. World Circus is scheduled for release in 2013 and offers 3 game modes – career, simulation and multi-player. The third and final E3 video presents Wild Games’ new iPhone game Kung Fu Lobster, a colourful undersea world where you control a well-armed lobster and take on other denizens of the deep to prove that only the strong survive. 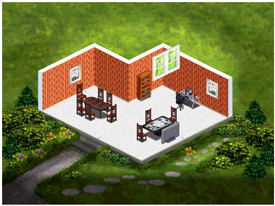 A dash of kitchen simulation, a smattering social elements and a heaping spoonful of Zombies is on the Fall 2011 menu over at Beeline Interactive Canada (formerly Capcom Mobile Canada). Play as a Zombie Chef and cook Zombie Food, prepare ingredients and put them in the stove or oven for just the right amount of time. A brand extension of Zombie Cafe, players of both games will be able to unlock unique content across both titles. 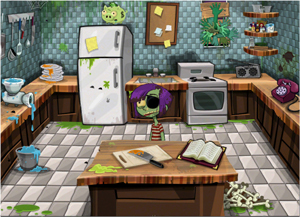 While Zombie Cookin’ is free to play, players can accelerate gameplay or acquire unique items by purchasing “Bones,” the game’s in app premium currency. Send your zombie hoard out to discover macabre, unusual and downright disgusting ingredients. 18 finger cleaving, brain scooping mini games. Decorate and increase the efficiency of your kitchen with better stoves, windows, floor coverings and more. Ubisoft® announced the joint development of Just Dance® 3 by Ubisoft Paris and Ubisoft Montreal. 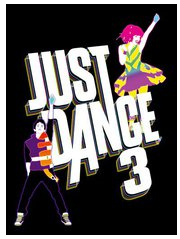 The third game in the multi-million selling Just Dance franchise, Just Dance 3 marks the debut of the Just Dance series on Kinect™ for Xbox 360®and the PlayStation®Move forPlayStation®3, and the latest installment of the series on the Wii™ system from Nintendo. Developed by Ubisoft Paris and Ubisoft Montreal, Just Dance 3 will be released worldwide on October 11. In addition to this exciting tracklist, Just Dance 3 introduces exclusive new game features on all three motion-control platforms, such as four-player choreographies and dynamic environments on Wii and the new “Shout Out!” feature on Kinect, which allows players to score extra points by belting out their favorite song verse. This, combined with the entertaining and unique choreography developed by professional dancers, will provide players with the fun and accessible challenges they are looking for and ensuring that Just Dance 3 will get the world dancing. XMG’s Style Studio has hit its one millionth design milestone. Since its release in May of 2010, Style Studio has remained the only app that allows you to create, customize and share your own original fashion designs. A player can choose between colours, prints and styles, and superimpose them onto one of many articles of clothing. If there’s something they want to change, the designer also has the option of making alterations. For anyone hoping to bring style into their life in a fun, portable way, the app is perfect. Now, less than one year after its launch, more than 1 million items have been designed in Style Studio. Style Studio is available in the iTunes app store for $2.99 for any Apple mobile device running OS 3.0 or higher. Last Chance: Registration for the Great Canadian Appathon closes at 5pm tonight. Last week during IUGO’s GDC Smartphone Summit Session, their VP of Biz Dev, Sarah Thomson, announced IUGO’s latest social game venture; Sunshine Cruise Lines. 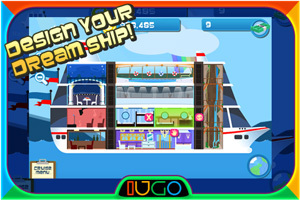 IUGO’s first social title, Lil’ Pirates (published by Capcom Mobile), launched in November 2010 and was a breakout success earning accolades from users, critics and fellow industry colleagues alike. Lil’ Pirates went on to win Pocketgamer’s best FREEmium title of 2011. Having proved their chops as a solid social game developer, IUGO plans to launch several social titles during the course of 2011/2012. “Lil’ Pirates was a great experience for us,” enthuses Thomson. “We saw that we could build a unique experience that users loved. It was amazing to see how “into” the game players got. On top of that, the game was monetizing really well solely from virtual items, which was a testament to our design strengths as a studio,” Sarah adds. Don’t get caught dead in that island wear, it’s so last season! 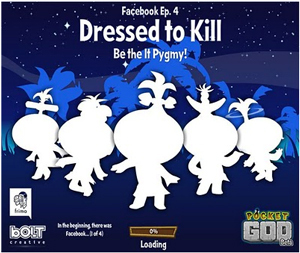 Quebec’s Frima Studio and SFO’s Bolt Creative have announced that the Pygmies of Pocket God on Facebook have arrived dressed to impress with Episode IV: Dressed to Kill. This latest addition to the Pocket God world introduces new items, including St. Patrick’s Day accessories, as well as a new dance taking the island by lightning storm. Since its debut in December 2010, the Facebook version of Pocket God has grown exponentially and is attracting more players every month. More than 40 million loyal, unquestioning Pygmies have met their demise over that time, with two million of those being sacrificed by volcano alone (that’s approximately the same amount of people who visit Pompeii every year – coincidence?). Another two million sacrifices can be attributed to friends on Facebook sacrificing other friends in a host of brutal and irreverent ways, including electrocution, shark attack, venus fly traps, tornados, tar pits, and more! What good is a friend if you can’t sacrifice them every once in a while? 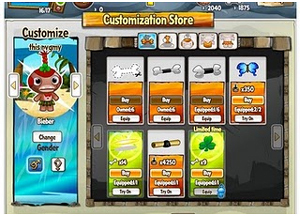 • All New Customizations: Fans have been waiting for the chance to dress up their Pygmies and the time has come! Pygmies can now be customized in a variety of ways, including wearing t-shirts, bow ties, life jackets (no worries, they won’t actually work), an oh-so-taboo censor bar, and more! • All New YPDA (Youth Pygmy Devotee Association) Dance: It’s fun to hang with the Y-P-D-A! Even though the Pygmies constantly meet death, it doesn’t dampen their spirits, and they’re now prepared to show the world their latest dance craze. Go ahead and join in already, we swear no one is watching! • St. Patrick’s Day-themed Items: For the Pygmy leprechaun in all of us, players can now customize their favorite faithful followers with holiday-themed items such as clover hair ties and fashionable green suspenders to hold that grass skirt up. Players can also do a little jig with the new St. Patrick’s Day dance. All holiday-themed content is available for a limited time. • Brand New Quests: Of course, we have added more quests for all the deities out there looking to bring their sacrifice count to an all-time high. The National Lacrosse League, which is comprised of teams from Edmonton, Calgary and Toronto (along with some American teams) has announced that NLL 11, the NLL’s officially licensed video game by Pittsburgh’s Crosse Studio in conjunction with Guelph’s Stir Fry Games, is in development for release this spring on Xbox 360’s Indie Game Channel. The game will feature all ten NLL teams and the league’s 230 players, a completely new game engine, franchise mode, player statistics, celebrations and much more. For the first time, NLL 11 will include fighting in the video game. NLL Lacrosse 2011 will be available on the Xbox 360’s Indie Game Channel and will be priced at $5.00 USD. While you’re waiting for NLL11 to debut, you could check out Stir Fry’s latest game, Office Brawlers, which is available on Xbox Live Indie Games. You can try it before you buy it, the price is 240 MS Points. Playing as your Avatar, you fight your way through Story Mode with 11 crazy weapons. You can play against your friends either on or off-line. Be the greatest Office Brawler of all time and achieve the highest score by playing in Survival Mode. What started out as a very small Meetup group for independent developers in the Vancouver area has now become Full Indie. The new group was unveiled to a packed house of over 100 deve lopers at Tuesday night’s monthly event for what is now the largest collective for independent game creators in Vancouver. In May 2010, game developers Jake Birkett and Alex Vostrov founded the aforementioned Meetup group in order to connect with their peers. After only nine meetings with overwhelming event attendance and community input, Jake and Alex agreed that a formal brand, mission and web presence were the next logical steps. The group’s mandate will be to continue with its very successful monthly events which include presentations and networking as well as develop the Full Indie web site as a community-sourced endeavour, with centralized resources to assist indie developers not only in Vancouver, but around the world, with the development, publishing and publicizing of their work. In keeping with the National Film Board’s commitment to digital production, and reflecting the evolution of audiences into dynamic participants, the eastern section of the NFB Mediatheque in Toronto is currently being transformed into an interactive hub that will provide new ways to connect with the NFB. Its redesign guided by the principle of engaging and communicating with Canadians, this area of the Mediatheque will soon offer access to , where visitors can check out recent web-based projects via the NFB Interactive portal, the Online Screening Room featuring more than 1,800 streaming films, and news and information about the NFB. This flexible new space will also be outfitted with ceiling-mounted projectors, floor-to-ceiling screens and a state-of-the-art audio system, providing a venue for innovative new content such as participatory programming and immersive multimedia installations based on NFB online productions. The space will also host exhibits and screenings; its resources will be creatively incorporated into the Mediatheque’s many workshops and camps, and it can be tailored for private event rental. A webcam-enhanced touchscreen will allow the public to further connect with the NFB and record instant feedback on their experience such as film reviews, workshop recommendations and programming suggestions. Visitors will continue to enjoy over 5,500 NFB titles on free digital viewing stations, and services and events at the Mediatheque will not be affected. This new area will open to the public in early April, 2011. In response to numerous requests, the Canadian Radio-television and Telecommunications Commission (CRTC) today clarified the form and scope of its proceeding to review wholesale residential high-speed Internet access services, which was launched on February 8, 2011. Canadians will have an opportunity to share their views at a public hearing starting on July 11th in Gatineau, Que. The CRTC will also hold an online consultation. Details of both the hearing and consultation will be announced shortly. an examination of network capacity and congestion. The news all over twitter today has been the announcement that Garage Inc. has officially launched into the gaming arena. 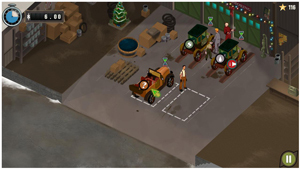 As we revealed in yesterday’s preview, Garage Inc. is a dynamic, multi-platform time-management game featuring a visually vibrant and imaginative style that will take players into 1920’s prohibition-era Chicago. 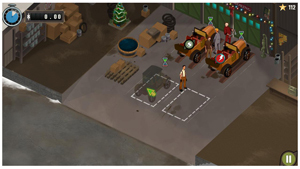 The game, which is already receiving 4 star+ ratings in iTunes, revolves around the life of Angelo Marito, a car mechanic and recent Italian immigrant who is trying to make a life for himself by opening his very own car garage. Garage Inc. will deliver to players the excitement and challenges of managing a busy repair shop through core time-management gameplay as well as through minigames. The game also features colorful characters and an immersive story, revealed in part through an innovative online social media campaign. Garage Inc. was developed by TransGaming’s Studio Division in partnership with Breakthrough Entertainment and is based on an original concept from GlobalFun. The iPhone version is made possible with the support of the Ontario Media Development Corporation. Garage Inc. is now available for purchase in the Apple Mac App Store (Mac required), iTunes App Store for iPhone and iPad, as well as GameTree Mac, as well as other retailers and distributors. Need a room designed in High Definition? You’d better call the Home Sweet Home team! Big Blue Bubble Inc. is proud to announce the release of Home Sweet Home HD for the Apple iPad, available immediately! With the added luxury of bigger rooms and highly polished art, Home Sweet Home HD will give you the chance to unleash your hidden talents as an Interior Designer. You choose the furniture, patterns, and colors to create a masterpiece that will blow your client away. With simple controls, fun graphical style, and an easy to use interface, Home Sweet Home HD allows you to nurture your creative side. Remember, a house is not a home until it is a Home Sweet Home! THQ Inc. has announced that a collector’s edition as well as six individual race packs for its upcoming real time strategy game, Warhammer® 40,000®: Dawn of War® II – Retribution™, currently in development at Relic Entertainment, are available now for pre-order. Leading the charge, the Dawn of War® II -Retribution™ Collector’s Edition will give the most dedicated Warhammer® 40,000® fan access to all of the available bonus war gear for each of the six playable races in the game. It also includes an exclusive poster, six race art cards and a high-quality collector’s box all for $39.99. Gamers in North America can only get the collector’s edition by pre-ordering through the THQ store. Limited quantities are available. Fans of a specific race can pledge their allegiance by pre-ordering one of the six available specific race packs for the same $29.99 suggested retail price as the regular version of Warhammer 40,000: Dawn of War II -Retribution. These race packs are available for electronic distribution and are ONLY available at pre-order stage. Each race pack includes four unique ability and Wargear items that can be used to enhance the single player campaign. The Ork Race Pack is exclusive through STEAM and the Tyranid Race Pack exclusive through THQ.com. The Space Marine, Chaos Space Marine, Eldar and newly announced Imperial Guard race packs are also available for pre-order through THQ.com, STEAM and other electronic distribution partners. After launch, gamers will have the option of purchasing the individual race packs digitally through STEAM for a nominal fee. Warhammer 40,000: Dawn of War II – Retribution is scheduled to be released for Windows PC in North America on March 1st, 2011. In addition to the news about Dawn of War, THQ has released Part 3 of the Dev Diary videos for Homefront, which is scheduled for release on March 8th. The PC version of this title is under development at Digital Extremes. D-BOX Technologies Inc. has signed its first agreement with CineLux Theatres to equip its Morgan Hill, California theatre with 28 D-BOX MFX Seats. Cinelux Tennant Station Stadium 11 will introduce D-BOX’s technology January 14 with the debut of the 3D action-comedy, The Green Hornet. This is the first CineLux location to offer the incredibly, immersive movie experience and one of just a 49 auditoriums worldwide screening the new release in D-BOX format. Kik Messenger, the lightning fast, cross-platform mobile instant messaging service, has Kik’d off 2011 with its three millionth user, Kik Interactive Inc. announced today. Re-launched on Oct. 21, 2010, the Kik community continues to grow by 10-15,000 users a day. The growth rate, driven by Android and iPhone users, has held steady even though new BlackBerry downloads ended in late November. Over and above user growth, the number of messages sent by active Kik users continues to increase, from less than 10 messages a day in late November to almost 20 now, on average. Kik will introduce new features including picture messaging (very soon!) and group chat (soon-ish). Service on iPhones will also be improved with a new version that makes it much faster to retrieve messages when users first open the app. As before, once the app is open, message delivery is real-time. To the growing number of Windows Phone 7 users, Kik is coming soon! We are now putting the final touches on development, so it won’t be long before you can join the Kik community. KiK recently released an update that adds profile pictures and a feature that lets users easily find new Kik friends. The new address book feature not only lets users check for new Kik friends, but also provides much more control over users’ contact lists. The “Find more people on Kik” button scans user contacts and lets them choose whether or not to add newly identified Kik friends to their contact list. We also recently improved Kik’s overall stability and reliability. Further out, we will unveil an incredibly powerful and unique technology that wirelessly connects users’ smartphones to any PC or TV. Hang tight for details. And, as promised, Kik’s much-anticipated mobile streaming music service is coming up soon. Kik works with all iPhones, iPads and iPod Touch’s, and all Android devices – anywhere in the world. All you need is a mobile data plan. Each Kik message uses only a tiny amount of data – less than 1Kb per message. Kik Messenger provides lightning-fast delivery and receipts that tell users when messages are sent, delivered and read, and when friends are typing a reply. Every message appears in real-time, making Kik feel almost like a real conversation.